Mockingbirds are named for their great ability to mimic sounds. 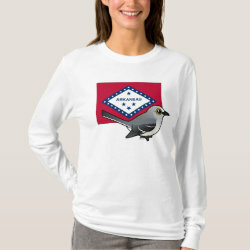 The Northern Mockingbird is a widespread species in much of North America, including many southern states. This common bird is also popular as a state bird -- more... it is the state bird of Arkansas! 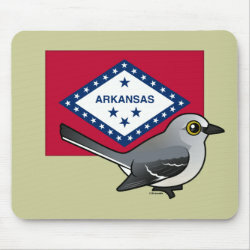 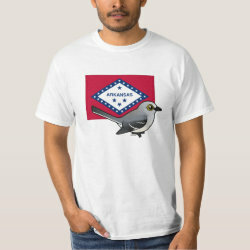 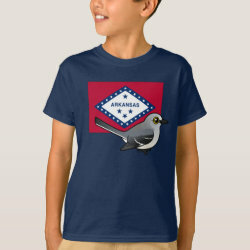 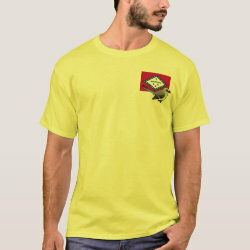 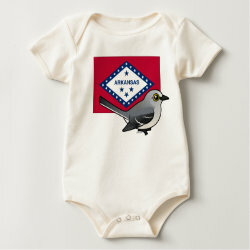 This design commemorates the relationship with a cute Birdorable Northern Mockingbird standing before the state flag of Arkansas.